If gaming advice were neopoints, then you'd be rich after reading this article! Add Another to your Family! 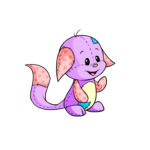 Thinking about adding another Neopet to your family, even if you only have one or two Neopets already? This is a guide to help anyone new to Neopets or the MVC Season sift through the mayhem and restock a card of their own! Be a sensitive Neofriend to those pets whose favorite Dark Faerie's day may feel a bit overshadowed by the hearts and the flowers. How to keep your neopet both warm and stylish all winter long - without breaking your budget.